LA JOYA — Lawmakers, law enforcement officials and even the manager from the Whataburger next door were on hand to welcome the construction of the Texas Department of Public Safety’s new Highway Patrol office. The 10,910-square-feet building, located on Palm Shores Boulevard off East Highway 83, will accommodate 40 DPS troopers. The $3.2 million facility will have office space for the Texas Rangers and also house a training classroom that will double as an emergency operation room. State Rep. Oscar Longoria, who serves on the Legislative Budget Board, said he felt DPS needed an office in western Hidalgo County after noticing troopers asking to use the restrooms in his office or writing their reports while parked in the parking lots. “I thought it was very unfortunate that the troopers did not have anywhere for them to go and work on their job, on their duties,” said Longoria, D-Mission, during the groundbreaking ceremony. He added that another motivation behind having an office here was to have a higher DPS presence in the area. “Logistically we felt there was a need for a Department of Public Safety, brick and mortar, in western Hidalgo County,” Longoria said after the ceremony, noting that troopers often had to travel from here to either the office in Rio Grande City or the office in Weslaco. The Rio Grande City office, a 14,655-square-foot facility, opened in March 2016. 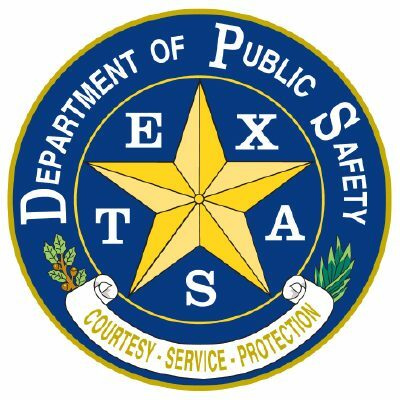 That office houses the Texas Highway Patrol, as well as their Criminal Investigations, the Texas Rangers, Driver’s License office, and the Starr County District Attorney’s Office-Border Prosecution Unit. This office, which is expected to be completed in June 2019, was initially believed to be located in neighboring Peñitas but ultimately, the Texas Facilities Commission opted to have the building located in La Joya. “(The state) has taken a stance on where they don’t really build a brick and mortar because then they have to upkeep it,” he said, explaining why they accept proposals from private companies. Instead, the state signs long-term contracts forming a private-public partnership in which the private company agrees to build the facility the state government will lease out. The proposal from the contractor selected for this job, Cantu Construction, involved building the office in La Joya.